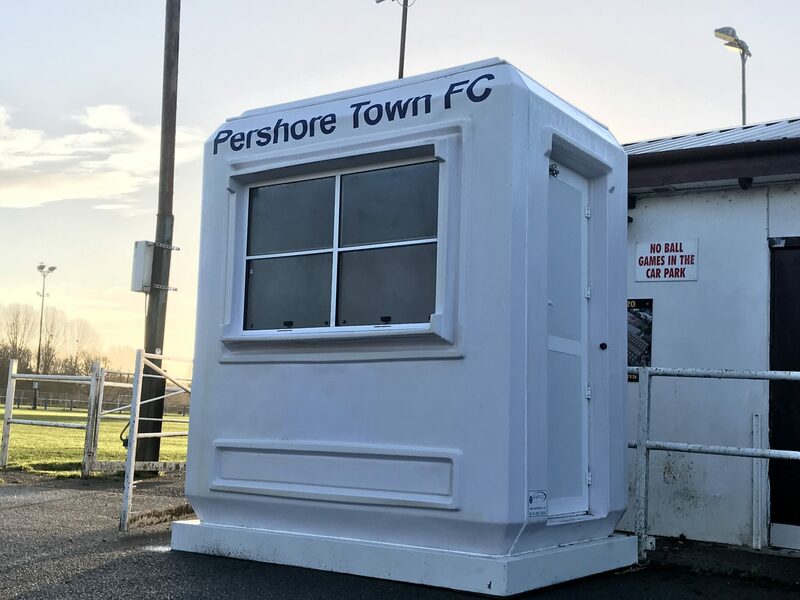 With local side Pershore Town football club celebrating their 30th birthday last week, Rapid Retail had the pleasure of offering a new ticket kiosk as their gift. When it comes to supporting local clubs and businesses, Rapid Retail has always tried to help out wherever possible. MD Nick Daffern has always taken pleasure in giving smaller clubs and businesses the push in the right direction they need, when they need it. In this case, under brighter circumstances, Rapid Retail has had the pleasure of giving something back to the local community. RR has been based in Pershore for over a decade, working with several local suppliers and even clients; such as Evesham United. Pershore Town FC on the other hand has been around since 1988, after 3 local clubs in Pershore United, Pershore Rec. Rovers & junior club Pershore Bullets merged with a view to create a larger, more successful team to represent the town of Pershore. Shortly after forming, in 1989, PTFC joined the Midland Football Combination. Initially in division 2, the club topped the league and were crowned champions in their first competitive season. Equally impressive was their following season, in which they gained promotion to the Premier Division. In the season of 93/94, Pershore were crowned champions of Division 1, accompanied by a great run in the FA Cup qualifying round where they reached the final stage, before Yeading FC stopped them in their tracks with a 3-1 victory at home. Although their performance did bag them a feature on the BBC, which surely counts as a W to them! After a memorable season came 6 more in the newly formed Midland Football Alliance league, among the founder members, before being relegated back down to the Midland Combination Premier Division where they remain to this day. 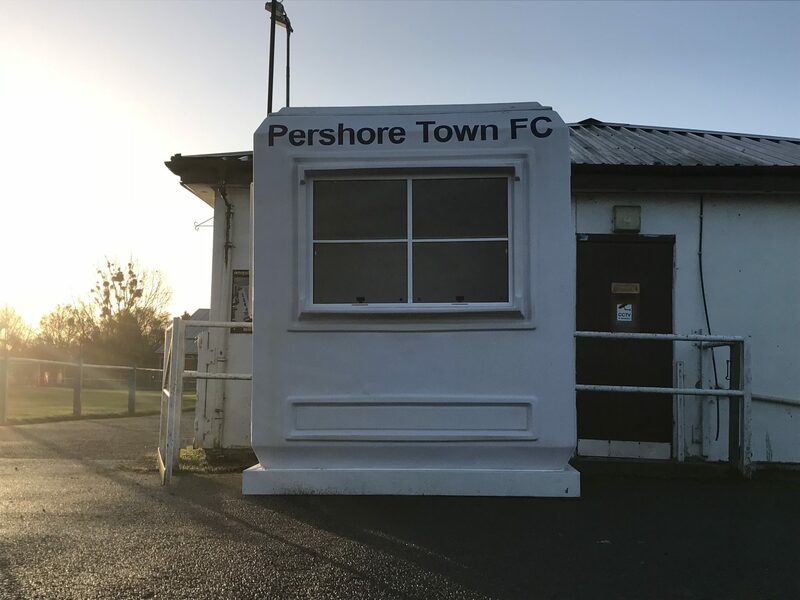 With Pershore low on funds as with many non-league teams, their ticket booth was no more than a eye sore. A plywood structure offering very little protection from the elements. With the help of RR they now have a brand new ticket kiosk ready for action on the weekends, leaving a much better impression on both home and visiting fans.